Rolls-Royce Marine has signed a contract with Thoma-Sea Marine Constructors, L.L.C. in Louisiana, USA, for the development of a state-of-the-art pelagic trawler. The 100 meter-long vessel is to be built for the Seattle based company Arctic Storm Management Group, LLC. 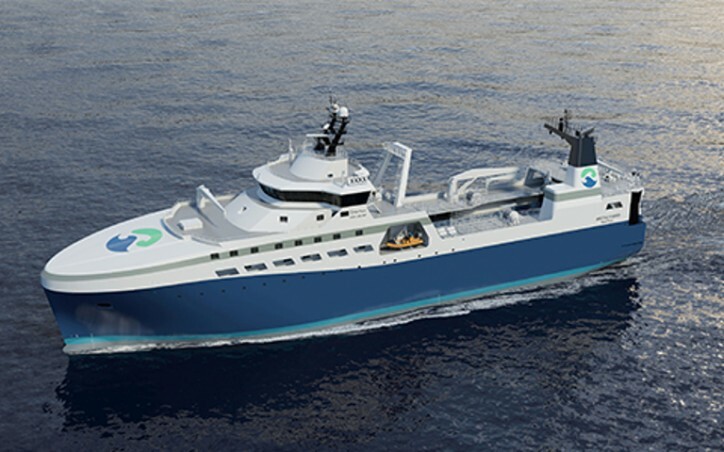 Rolls-Royce has been working closely with the owner, Arctic Storm, in developing this latest design, and the vessel will be equipped with a processing plant for fillet, surimi, fishmeal and fish oil. It will also be able to accommodate a crew of more than 150 people.